People fail to fix their marriages because they are perfectionists. Martial reform happens incrementally with lots of bumps on the road. Success in fixing marriage tensions does not come all of a sudden; it is achieved incrementally. After having counseled countless couples at the SABA center and beyond, I’ve come to realize that many of the relationships that end up breaking apart do not do so because they are hopeless (and indeed some can become hopeless due to mental illness, substance abuse, malevolence etc.) but because they have unrealistic expectations of what success is and how it is achieved. In short, they fall prey to the disease of perfectionism. Human life is complex because relationships are complex. We think that achieving marital success a bit like taking the train across country: you start from point A and eventually land in point B after a relatively smooth ride. But this is a cardinal mistake and a corrosive way of approaching marital reform. Improving your marriage is like driving a bumper car. 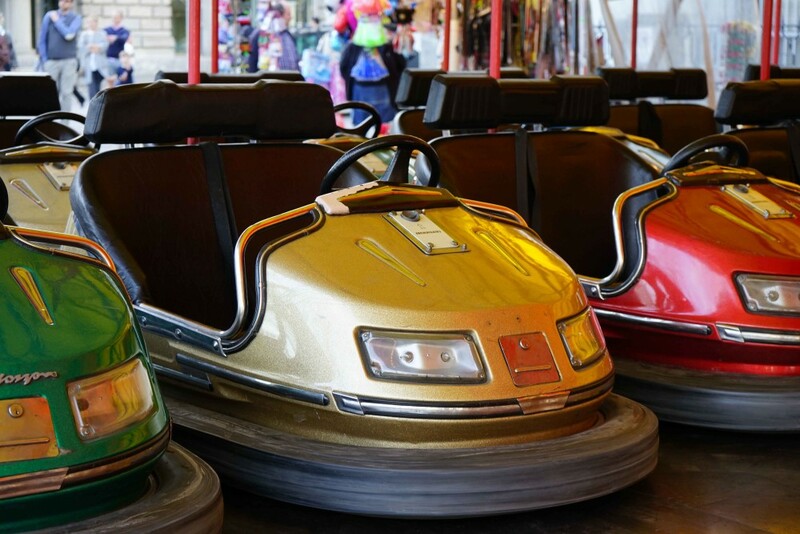 Somedays you will go around the track without a problem at an ideal speed, at other times some unforeseen disastrous thing will slam into your side, and at other times you will be stuck in a cluster of other bumper cars and you will feel like you just took a few steps back. A train moves forward perfectly, a bumper car moves forward imperfectly. What happens with perfectionism is that people become impatient and discouraged. They either do not see the results they want, or they don’t see them fast enough. They feel that stagnation or even regression means hopelessness. As such, they are chronic starters when it comes to fixing their marriage but they do not have the patience to finish the job. So what should you expect while trying to work on your marriage? You should expect your past problems to repeat themselves. You should expect that unexpected events will slam you on the side and temporarily debilitate you. You should expect promises to be broken. You should expect moments of discouragement and even despair. You should expect the outcomes of your efforts to only partially be successful. Above all, you should expect even partial resolution to take a long time. Remember: success is gained incrementally. When you take marital advice, you must follow it until its finish. We are all chronic starters but we aren’t consistent finishers. Do not set grand goals for marital success. Set yourself very small goals and try to finish them. Your marriage’s success is not the achievement of one large goal, but the finishing of a series of small goals you set for your relationship. The elephant in the room: avoid trying to fix your spouse directly; that will not happen and it will lead to resistance. The way you fix others is by fixing yourself. Some people realize this yet they only temporarily work on themselves and suddenly start looking down on their spouses and wonder why they aren’t getting better. Like children, we don’t do what people say, we imitate other people’s spiritual states and demeanors. If your kind, loving, forgiving, eventually it will rob off on your spouse (at least in most cases). The problem is that people do not realize their own shortcomings, they always think that they are upright. A true mumin is able to see his or her faults and acknowledge the depth of his or her sin, the sign of a person who is not doing well spiritually is a person who is incapable of seeing himself or herself as the greatest sinner. Yes, in our duas we may admit our mistakes, but that’s often lip service. True self-reform comes from a visceral realization of one’s own sin and shortcomings and laying the problem in our environments first and foremost in ourselves. When the Prophet Musa (as) (Moses) saw the political and social injustices done to people in Egypt, the first thing he did was blame himself: “O my Sustainer! Verily, I have sinned against myself! Grant me, then, Thy forgiveness!” And He forgave him – for, verily, He alone is truly-forgiving, a dispenser of grace.” (Quran: 28: 15-16). Despite the fact that it was Musa (as) who was the victim of social injustice and hypocrisy, he nevertheless lay the blame in himself and sought his Lord’s forgiveness. It is the act of seeing laying the blame on himself first and seeking God’s forgiveness that allowed him to overthrow an empire and reform a whole nation. It may be asked, wasn’t Musa (as) infallible? Indeed he was, but out of humility and acknowledging that he was on the same boat as everyone, he could not criticize others before criticizing himself. This act of humility is what gave him sufficient grace to carry out the divine project of social reform. Like Musa (as), you and your spouse are in the same boat; harming one will harm the other. In order to get sufficient grace to fix your marriage, you must learn humility and criticize yourself first and foremost. You must embark on the path of reform yourself with humbleness and with that God will give you sufficient grace to transform your spouse as well.